It's been a month since my last post and the last time I was able to write something was the night we were praying for Typhoon Haiyan/ Yolanda not to come or to at least not be that strong and fierce. But no. It was really a super typhoon. Never had I thought that the typhoon will cause so much destruction. I know it has been one month already but it seemed like it just happened yesterday. Allow me to tell you our story. I didn't get some sleep while we were monitoring the speed and strength of the typhoon. I was nervous because I feel like a really strong wind would pull our roof off. I fear that my wall would collapse while Bella was sleeping on our bed that is why I would run to the bed every time the wind blows. That was just 5 a.m. I also kept on updating hubby through text and calls about the speed and strength of the typhoon while he and his parents were staying in one of the evacuation centers which happens to be our school in college. At 6 a.m, the situation was still the same. The wind would blow hard then would stop. It would "woosh" and stop, "woosh" and stop. Others thought it was already Yolanda but I know it is not yet the typhoon. At 6:30, hubby called and told me to go downstairs. That time, I transferred Bella to my parent's bedroom because the wind was already scary in our bedroom since we can clearly hear it from the window. When hubby called, I ran down the stairs with Bella. It was the right timing because the ceiling started to rip and rain went inside. Suddenly, the glass on our windows broke because of the wind. We then stayed on one corner and covered ourselves with a blanket. We were all wet. Glass and furniture were flying everywhere. Leaves, roof, gutters, and just anything went inside our house. My father was wounded on his left eye because of a glass. A tall cabinet fell on my mother's nose and wounded her. She was holding Bella that time. But good thing Bella wasn't hurt and my mother only got a small wound on her nose. Bella was trembling with fear. I was crying as I saw a tree being thrown right on our window. We can clearly see how the wind whirled and tossed just anything around. We fear that things will get worse. We went under the stairs as my father instructed. Under our stairs is a small room enclosed with a home bar. We stayed in that room until the winds stopped. I was worried about Bella because she was soaked with water for a long time. She didn't cry. She would just listen and watch. She didn't say anything. I knew she was hungry, afraid and cold. We stayed in the room until 11:00 a.m. We all prayed for it to end. The sound of the roofs being ripped, glass being thrown to pieces, doors being slammed, trees uprooted, objects flying inside the house, objects rolling down the stairs, and the whistling of the wind were scary . It was like tomorrow would never come. I was enveloped with fear and all I did was pray to Jehovah God to save us. The news after the storm was very heartbreaking. Many people died. That day, my father and brother left to look for a hotel to stay. But all they saw were dead bodies on the streets, broken buildings and homes. Obviously, no hotel would operate that time. They said that dead bodies are everywhere which was due to the storm surge. We were thankful that there wasn't a storm surge in our village because if the water rose, I don't know what's going to happen to us. For 24 hours, we were in complete isolation. No communication. I don't even know what happened to hubby and to our other relatives in Tanauan, Leyte. The second day after the typhoon, hubby came. He walked from Tacloban to Palo for 4 hours. The only way to reach places is by foot because aside from the dead bodies, there are also debris everywhere. But our experience is nothing compared to those who were reached by the storm surge. 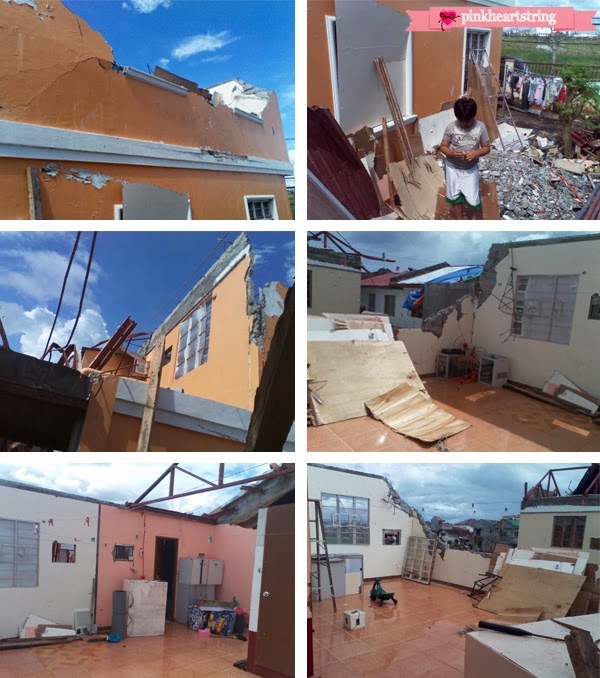 My cousins and other relatives needed to stay on the roof trusses to survive. They ate raw noodles because they didn't have a choice. Other people swam through the waters, clung unto trees, or climbed on roofs. My heart broke into pieces because I was thinking of all the babies and kids. What happened to them when the water went up? It was really terrible. Our situation is way better than other victims of the typhoon. Our family was complete and safe. We were still able to recover some things. We were able to acquire food because my father went to a nearby city to buy them. We cannot rely on relief goods alone because it was very very rare in our area. We need to do something in order to live. We stayed in St. Scholastica's Village, Palo, Leyte for three weeks. We left the place after cleaning and retrieving other belongings. We needed to leave because things were getting worse. Some people would go to homes, steal food and kill the homeowners. Our place was like a ghost town enveloped with fear. But it was not the dead people that were scary. It was those who were alive and might take our lives in exchange of goods and foods. It was a battle for each one's life. We could even hear gun shots every now and then. We would hide under the stairs again for fear that a bullet might get into our house. During evenings, my brother and father would stay up late to guard the front door. We have a burglar alarm to make sure no intruder could get in. Aside from the roof and trusses that were destroyed, our wall also collapsed. But the images you see above were pictures taken after we have cleaned the debris. We were not able to think of taking pictures after the typhoon. But like what I said, our condition is still better than those who really lost everything including their houses. You can see my younger brother on the second image where debris from the second floor were placed. Below that picture, (fourth image) was my bedroom. The place we considered home was destroyed but I know that it will soon recover and be restored. We may have left our house but we will return. We may have lost many material possessions but we still have our faith in Jehovah God and we are all safe and alive. Oh Kareen, I am so very sorry for what you went through. I had no idea that you experienced the typhoon. 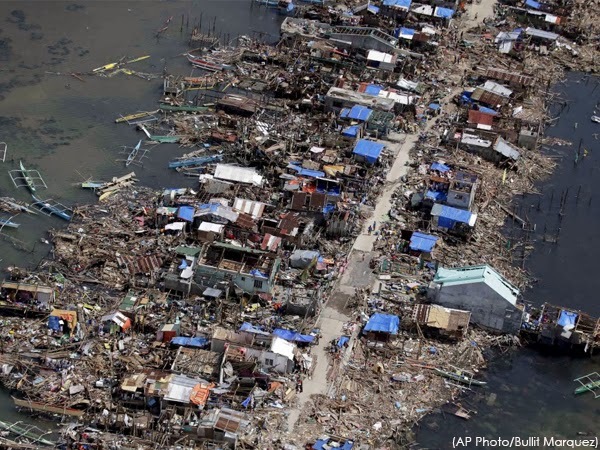 My uncle's wife is from the Philippines and her family's village was decimated. Thank God your family is safe; I pray you will find shelter and safety in the coming days. Wow even just reading this makes my mouth hang open. I can't imagine how scary it was for you to live through esp. with a young child. I'm so glad you are okay. What an unimaginable experience that no one should have to go through. I pray that you and your family find what you need during this difficult time. Oh my goodness Kareen, I am so glad you, your daughter and your famil are OK! I will be praying for you as well, for you to have and find what you need, food, etc. Huge hugs!!! Wow, Kareen! I can't imagine what you and your family have been through. I am just so happy that you are all safe and together. I will definitely keep you all in my thoughts and prayers. What a terrifying experience. And the pictures really bring it to life. I'm so sorry you had to endure that experience but I'm so glad you're OK.